Once you’ve selected a mattress, the second most important decision you have to make in regards to your bedding is which pillow to use. There are a ton of options, each with different pros and cons depending on the type of sleeper you are. Constantly searching for the ultimate night’s sleep, I’ve been through more pillows than I care to admit; finding the right one can be an arduous task—especially if your shopping on a budget. To help you in your decision-making, I’ve put together a quick list of a couple different types of pillow selections, and why you may prefer one over the other. The first decision you need to make when buying a pillow is what type of filler material it’s made out of. There a lot of different choices, especially if you start looking into some of the more specialty pillows, but there are three broad options to choose from: synthetic, organic, or down. 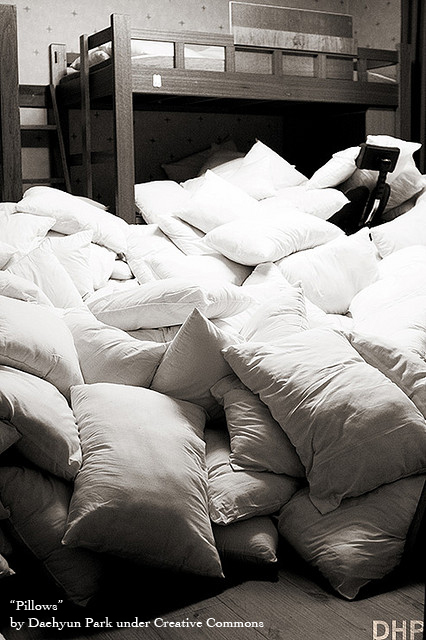 Synthetic pillows can be made of either polyester or a memory foam material. Polyester pillows are made to resemble the feel of down, but without the allergies and often for a fraction of the cost. Interestingly, I am somewhat allergic to polyester bedding – particularly sheets – and I find the feel of polyester to be less satisfactory having slept with down pillows for much of my life. People who suffer from asthma are often more inclined to purchase synthetic pillows as there is a belief that down pillows contain and collect more allergens such as dust mites. Interestingly, a study conducted by alergyasthmacenter.com found that many of these claims are not entirely based in science. Organic pillows are made of anything other than synthetic materials or down. One of our writers, Laura Cheng, wrote about her experiences with Japanese Buckwheat pillows, which a popular alternative to synthetic or down pillows. I haven’t tried them myself, but I imagine they feel like a larger (and more natural) version of the neck pillows you see people traveling with on the airplane. Since I cannot testify to their comfort first hand, I will leave my evaluation of them as a good alternative for sleepers who cannot have down pillows (due to allergies or ethical reasons), but don’t want synthetic either. My personal favorite type of pillow is the down filled variety. Down pillows are made from one of several different types of feathers and down, including: chicken, goose, and duck. Goose down is often thought of as the higher-end filler since ducks are more abundant throughout the world, and marketers have done a good job convincing us that Goose is better. That said, there is probably little actual difference between a comparably made pillow of either duck or goose. 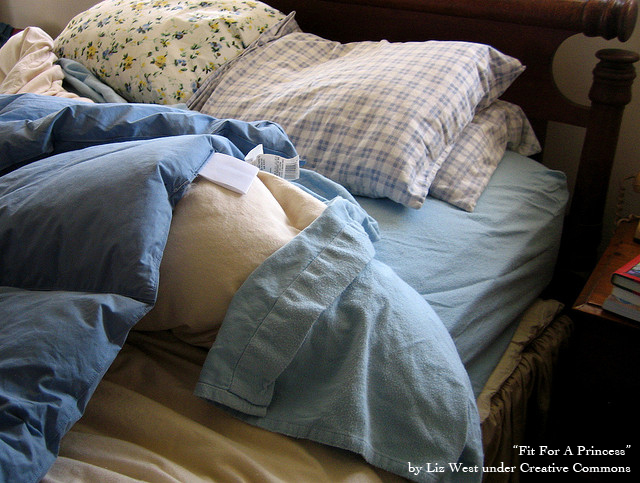 Chicken feather pillows are less common, and make up the lower end of pillow stuffing. Feathers aren’t nearly as soft, not do they have the insulating characteristics of down and used mostly for support. I actually sleep with a pillow stuffed with chicken feathers that my girlfriend’s grandmother made for her back in Italy. It is one of my favorite “base pillows” as it provides a stable base to put a more plush goose down pillow on top of. Once you’ve narrowed down you pillow preference in terms of the filling materials, the next set of choices (and perhaps the more difficult) is whether to get a firm, medium or soft pillow. The firmness of the pillow is largely a factor of the fill-count (e.g., how many feathers are stuffed inside the pillow); however, the actual feel of the pillow varies significantly between manufacturers. 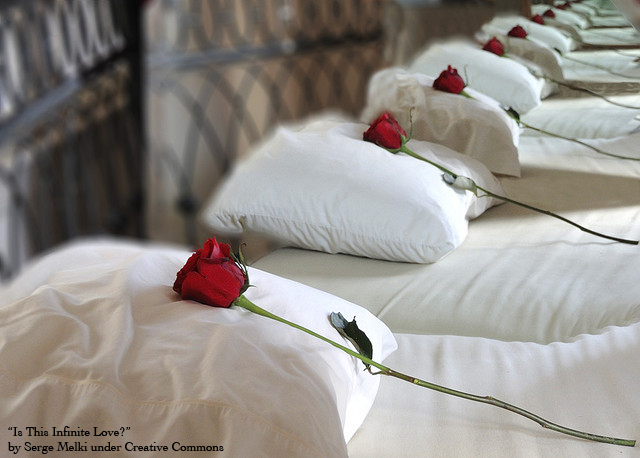 Generally, softer pillows, which use less filling, are less expensive than firm pillows. Your choice between a soft, medium, or firm pillow largely has to do with how you sleep. Soft pillows are ideal for stomach sleepers, or sleepers who move a lot during the night since they are much more pliable than their firmer counterparts. Medium pillows are ideal for back sleepers, and firm pillows are best for side sleepers. As I mentioned above, the actual firmness of the pillow has more to do with the manufacture than the label attached to the pillow, so you’ll want to do your pillow shopping in person so you can feel the difference. I generally err on the side of more firm, since down tends to soften with time. The type of pillow you choose ultimately depends on your sleeping habits, and personal preferences. If I had my druthers, I’d get a soft, medium, and firm pillow because I like to have choices and find that some nights I’m looking for something different. What type of pillow do you use? Do you have any recommendations for readers currently in the market for a new pillow? Share your thoughts in the comments below.